Whether you are backpacking, alpine climbing, mountaineering, bicycle-hiking or camping, the weight of your tent plays an important role. As an outdoor adventure enthusiast, the least you want is a heavyweight tent that will be a burden in your gear, notwithstanding its great functionality. Having said this, it is important to look for the best ultra light tent before embarking on your journey. But, most of these tents accommodate at most 2 people because of their compact design. This makes it possible to travel with your partner without the need to have an additional tent bought. 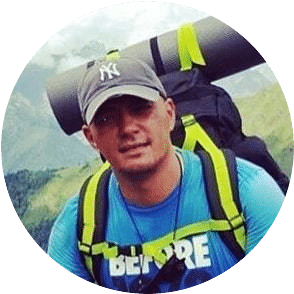 If you are hunting for the most lightweight adventurous tent for your next travel, this article has got all the answers for you. 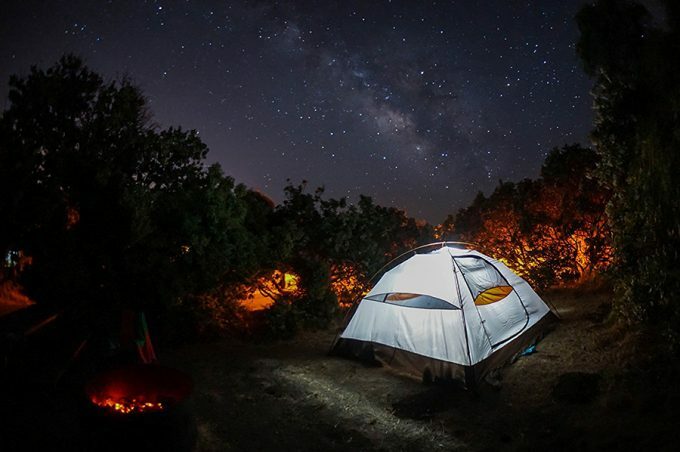 We have navigated the market on your behalf in search for the finest ultra light outdoor tent models, where every ounce counts. Also important to our considerations are other functional features such as weather resistance and design materials. We understand that how head scratching and confusing it could be, to search for the right model when given dozens of products on the market. Experienced travelers may be well prepared mentally, for what kind of tent they want, thanks to their experience with harsh weather conditions, but, unfortunately, the same cannot be said with novice enthusiasts. Among other considerations, we have detailed the utmost important ones that we feel can help you in your search. These include adaptability, durability, weather resistance, waterproofness, and weight. All these features are included in individual reviews of these products in an attempt to aid you in decision-making. 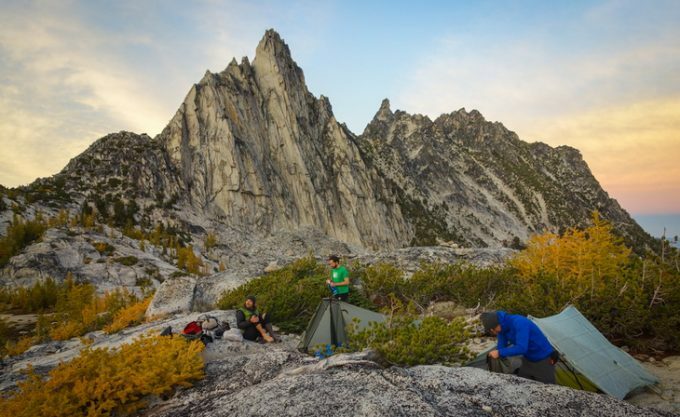 Depending where you intend to camp at, adaptability could be one of the most important considerations when buying these tents. If, for example, you plan to camp in the off-trail wilderness, in the rocky mountains, the floor type of your tent cannot be overlooked. In such cases, floorless ultralight tents do well. They have a great adaptability. The extent of adaptability depends on your intended destination. 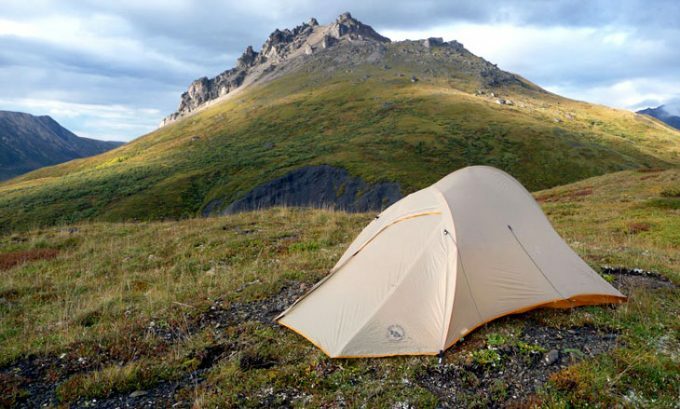 For instance, some ultralight tents may not withstand the strong winds or heavy rains at the top of high mountains. Therefore, you have to take that into account to avoid imminent disappointments. Fortunately, our tents are made of top-notch quality materials from the tarps to the guylines. The weight of the tent is of utmost importance in your decision-making. Every ounce matters a lot because outdoor adventures may not be fruitful with heavy tents on your shoulders. Imagine climbing high-peak mountains or hiking on steep terrains with a camping gear weighing dozens of ounces. Wouldn’t that put a strain on your body? Of course it would. That being noted, you must compare the weights of the tents before spending your hard-earned dollars on inconveniently heavy ones. For every ultralight tent we have reviewed, we have included the weight in ounces or pounds and the dimensions. This will help you narrow your hunt for the most lightweight adventurous tents for your outdoor expeditions. But, you must note that other factors such as the trekking poles and guy lines play a part in the overall weight of the tent. You might find out that some poles are made of fiberglass whereas others are made of aluminum metal which then has an effect on the weight as well. Who can derive pleasure from non-durable tents that deteriorate after a few days of camping? You cannot do that, can you? Durability is an important consideration in that it helps you save money for repeated purchases. It is predominantly compromised by poor quality of construction materials. Having said that, you need an attention to every detail and an eye to foresee the conditions that you will expose your tent to. 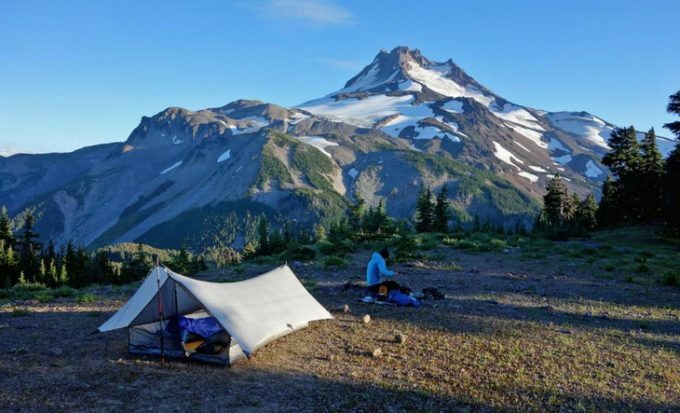 A wrong choice of the tent, that includes the fabric, poles, and other ancillary features, could lead to your tent deteriorating prematurely if exposed to extremely harsh temperatures. You need very sturdy tents if you are going to camp in terrains that are notorious of heavy snow, strong winds, and heavy downpours. That means the weight alone cannot warrant a fruitful outdoor adventure, but sturdy materials too. They will help you withstand the most inclement temperatures out there. Every camper needs a strong, ultralight tent with unsurpassed weather resistance attributes and competencies. Any tent without this feature often lets water to sneak through into your shelter during heavy rainfalls. This could be damaging to the tent and could shorten its lifespan. So, you have to lay your eyes on shelters designed to feature weather resistant qualities. To protect you from heavy downpours, some tents come with a rain fly and sturdy tarps that ensure that no rain damages your shelter. So you need to take note of this feature in your decisions. The floor of the tent needs to be strong enough to never let in any water. Also noteworthy is the strong wind protection when choosing these tents. Excellently constructed tents will shield you from the erosion of strong winds that could dismantle the tent and leave you stranded. This is also an important consideration more especially when you have to camp with someone. Solo campers; in particular, may not be affected by the livability of the tent that much because of the ample space available for them. They can sleep comfortably on their beds and stretch their legs freely depending on the width of the floor. They can also have their luggage stored securely in added vestibules, if any featured. When two people occupy the tent, a different story emerges. They need a sufficiently wide floor area and a great peak height to stand up comfortably. Also needed is an additional space to cook during the prevalence of strong winds and heavy downpours. Having mentioned all these, you need to tick your checklist for the presence of these livability features. If the tent is devoid of these features, your livability will be jeopardized and compromised. Furthermore, an ultralight tent needs ancillary livability features such as mesh vents to reduce condensation inside. It happens often that condensation of water results under the waterproof material after rainfall or snow. Having that condensation removed is an achievement towards enhancing livability. 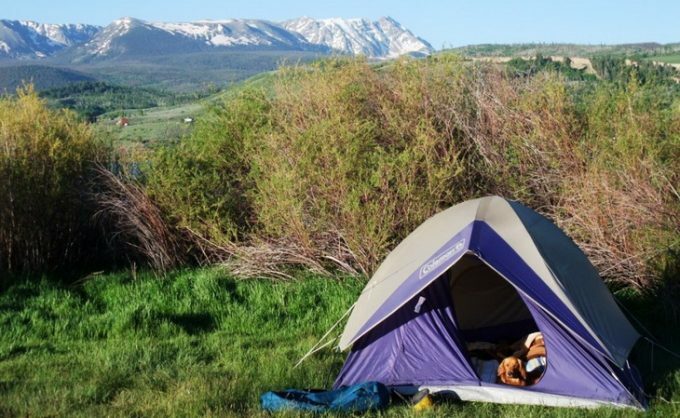 Now that we have detailed out the important considerations you need in selecting tents, we can delve into the reviews. The reviews aim to detail out the important functional features and specifications you need to know before buying the product. Specific features: Available in silver/lime and made of nylon, DAC featherlite NSL pole system, Rain fly is treated with silicone and has a waterproof polyurethane coating of 1200 mm, DAC twist clips to affix the tent to the pole. 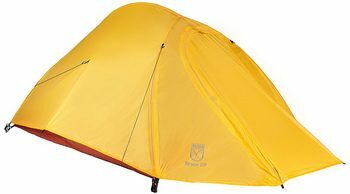 Description: This Big Agnes Fly Creek 2 Tent has a compact design and it is lightweight with just 5.7 pounds. With this tent, you are promised to outsmart the outdoor’s harsh weather conditions because of its double-wall, it is built for basically any camping condition, it’s warm, strong and reliable. It is surely going to keep you warm amid the cold days out in the wilderness. Moreover, it is made to be durable with its high quality construction materials such as the aluminum made DAC poles. Its livability is enhanced by the ample floor area of 28 sq ft, head height of 38” and the foot height of 24”. Moreover, it has a vestibule for additional storage to keep the tent clear. Furthermore, the tent has waterproof seams to protect you against the downpour. It also has solvent-free polyurethane seams. The mesh is made of polyester and the shell is breathable to aid in ventilation. Related: The manufacturer has designed a separate Big Agnes Fly Creek UL Footprint to extend the durability of your floor. 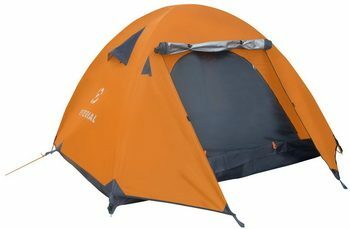 It is a cheap product at around $65, that can be bought in addition to this ultralight tent. Specific features: Imported construction material, 7 inches high and 10 inches wide, two cargo pockets to store valuables, eleven aluminum stakes, all seams are waterproof. 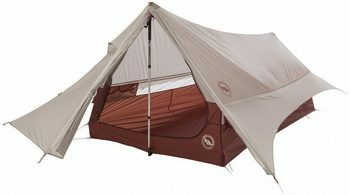 Description: Big Agnes Scout Plus UL Tent comes equipped with a classic A-frame wall design. The design is characterized by an ample floor area. More space is created by the presence of the vestibule that is used to store additional items. These features are attributes of livability. Again, there is a large-sized door for entry into the tent, and it also serves as a pathway for enough airflow into the tent, keeping a very good ventilation. The pockets to store valuables are also an added value, keeping phones or wallets safe and easy to reach. The silicone treated nylon rip-stop and polyester underpins the tent’s durability because they are top-notch quality materials. They also make the tent considerably lightweight to easy your gear’s weight when traveling. To protect you from water seeping in, the seams are all waterproof. Also included is a solvent-free polyurethane tape, as well as aluminums takes, which are durable and lightweight, ideal for tougher camping trips. Related: For those dark nights in the outdoors, we suggest lighting up your tent with a tent lamp. Our recommendation would be the ZLF R1DN7 LED Tent Lamp. 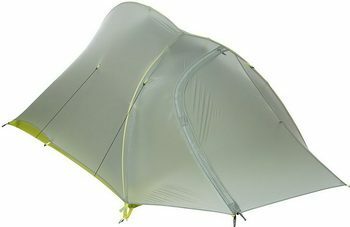 Specific features: Available in green lime/steel, seam taped poles, clips, and bathtub style floor, 30d 100% nylon ripstop tent fly, silicon /PU 1800 mm W/R, 30D 100% nylon RipStop side walls. 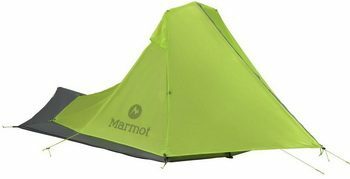 Description: Made of 30D 100% nylon Ripstop on the fly and the side walls, the Marmot Nitro Tent offers a great durability and a capacity of 2 people. Its clips and poles are seam taped, and its floors are bathtub styled. And for enhanced ventilation, the tent features a vestibule fly vent and a large foot vent. It also has a big door for ease of entry. To store your valuables, there are vented interior pockets to keep your tent clutter-free as well as the vestibule. On the other side, the lampshade will do a good job of holding your headlamp to provide enough ambient light at night. This lighting will be helpful for nighttime visibility in addition to the reflective points such as the guylines, ideal in case people need to go in and out are night, or you need to be seen in the dark. Please note that the trekking pole is not included, it should be bought separately. Related: Now that you have a tent, all you need is a sleeping bag rated for warm weather. Our suggestion would be the ECOOPRO L5VKS Sleeping Bag. Designed to block the heat, this sleeping bag will keep you warm, but not too warm during summer nights. Specific features: Available in aspen yellow, has a 31.3 square foot floor area, trail weight of 3 lbs (14 oz), 2-way outer and inner zips, mesh pockets for storage and back vent for enough ventilation, 12 Y-stakes and guy-lines, 3000 mm PU waterproof feature. Description: This Paria Bryce Tent is an extraordinary shelter suitable for backpacking adventures for two people. It brings to you the highest quality materials such as the rain fly that provides protection from rain and UV rays. The tent offers also a great livability option with a rectangular floor area with dimensions 85 x 53 x 36 inches. The fabric used is 20-Denier Ripstop polyester, and is characterized by minimal water absorption compared to the nylon fabric. Furthermore, 70-Denier polyester is used for its footprint and floor constructions. To protect you during downpours, the tent has a waterproof feature enhanced by the 3000 mm PU coating with taped seams. Its additional features include the 8.5 mm 7000-series aluminum alloy and 12 aluminum allow Y-stakes and adjusters for enhanced durability. These afford you the opportunity to use the tent for multiple outdoor adventures without worrying about durability. The reflective guylines, on the other hand, help make your tent visible at night, and they also help to make the tent to be easily set up in addition to the two pole repair splints. Related: In addition to this tent, you can spend around $194 to buy the Etekcity B4FY8YO Portable Stove and the California Basics AO-CC-11PC Camping Cookware for great, tasty, nutritional meals during your outdoor adventures. Specific features: Nylon fabric material, 6 inches high and 11 inches wide, integrated awning poles, peak height of 42.5 inches and awning height of 36 inches, 3 dac nfl poles joined by 2 swivel hubs to form a single frame, fly fabric is made of 20D Polyester Ripstop and Silicone/100mm PE. 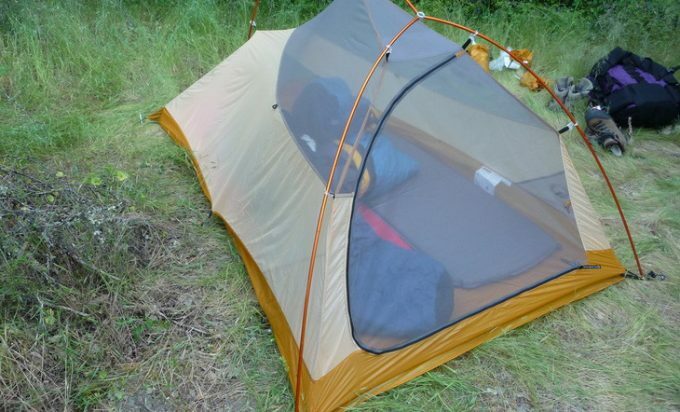 Description: This Sierra Designs Tent is an improvement from its heavy predecessor of 2014. It comes with reduced 10 ounces of weight to make it appealingly, lightweight, for travelers like you. Furthermore, it has the torch that is included to make the tent more livable. 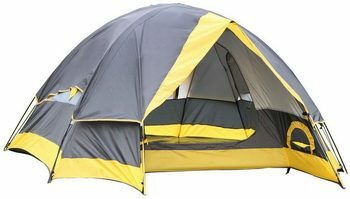 Two people can regard this tent as the best outdoor home that is lightweight with a minimum weight of 2 lbs 13 oz. Also worth considering is the ample gear storage area of 5.4 + 5.4 ft2 and a hybrid single and double wall. The internal area is also sufficiently spaced with 30.5 ft2. 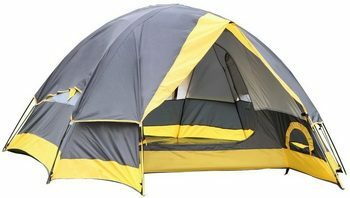 Although the most impressive feature is the awning height of 36 inches, making it a very comfortable tent. Please note that you have to buy the footprint separately in order to extend the durability of its floors. This might be a set back for some, since the tent itself isn’t cheap compared to other models featured in the article, and then adding the footprint makes it more expensive. Related: To extend the durability of your tent, the manufacturer offers the footprint separately. You can spend less than $30 dollars to purchase the Sierra Designs Nightwatch 2 Fitted Footprint. Specific features: Polyester with pu coating used for the flysheet and inner materials, vestibule for gear storage, shock-corded fiberglass, mesh roof vents and a large D-shaped door, removable hooped fly frame for downpour protection. Description: For ease of setup, Semoo Water Resistant Tent comes with a shock-corded fiberglass frame and poles. And to make it more durable, polyethylene is used on its floor while polyester with polyurethane coating is used for the fly sheet and inner materials. This is done to make sure that the tent lasts as long as possible. Adequate ventilation is ensured by the mesh roof vents and the windows to prevent you from excessive interior heat. The D-shaped door can also be open to allow more ventilation when it doesn’t rain, making it one of the best ventilated tents featured in this article. Should it rain, you can close the doors to prevent entry of water. There is a removable hooped fly frame to further protect you against the rain. The manufacturer has endeavored to provide you with sufficient weather resistance features. The sturdy fiberglass frame helps withstand strong winds when camping. Related: After waking up in the morning and getting out of the tent, there’s nothing as refreshing as washing your face in the cold, mountain creek. For those occasions, we recommend the Relefree Premium Microfiber Towel. Lightweight and easy to pack, these towels will become an essential part of your backpacking gear. Compared with others, this tent prioritizes livability, with an additional space with a vestibule. Furthermore, the vestibules advance the livability by storing additional accessories to make the room dry. Also advantageous is the weatherproof feature that enables you to camp comfortably without the adverse disturbances of inclement weather conditions. The HV vents are also a very good feature, keeping the ventilation inside the tent pretty good. The only downside of the manufacturer is that its products are heavily priced. Nevertheless, they come with advanced features that are worth every dollar. Related: In addition to this Big Agnes’ tent, you can boost your sleeping comfort with the soft and durable Klymit Static V Sleeping Pad. Description: This Winterial 0BJQEG 3 P Tent passes an evaluation for a wide range of outdoor adventures such as backpacking, climbing, camping or hiking. It has rainfly vented roof for protection against heavy rainfalls, and also aids in maximum ventilation. The tent is lightweight, making it the most preferable tent to easily carry in your camping gear. To make it durable, it is made of a nylon fabric. Again, it has a waterproof feature to help shake off water and prevent it from wearing out prematurely. The absence of waterproof makes the tents to be prone to water damage for repeated outdoor excursions. On the other hand, its door has 2 layers also for durability purposes. 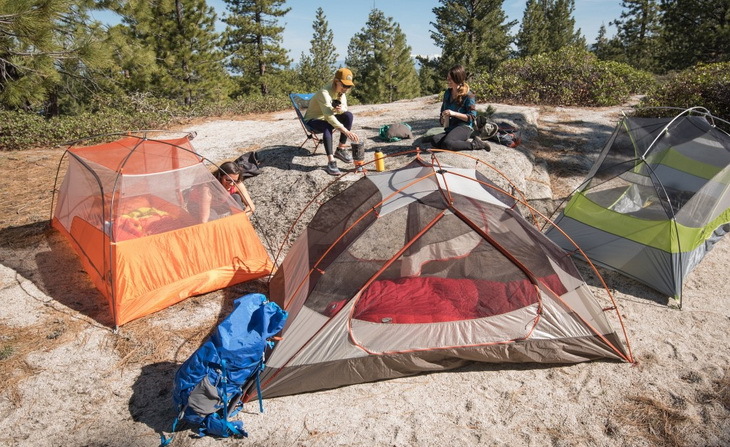 The fact that it only weighs 4.4 lbs, but it is a three-person tent is ideal. It’s easy and lightweight to carry, but fits more than two. Although, truth must be said, this tent might be better only for a couple if you want to sleep more comfortably. The aluminum tipped poles make it very easy to set-up, as well as lasting longer. Owners consider it more of a spacious two-person tent, a bit too tight for three. Related: To improve the durability and waterproofness of your tent’s floor, you can buy a tarp designed specifically for this model. We are talking about the Winterial J4RS6 Tent Footprint. All our ultralight outdoor adventurous tents are elegantly designed to give you an absolute comfort with your partner. We have equipped you with the important features to look for when choosing any of these tents. The features such as waterproof, weather resistance, vents and weight are mentioned in an attempt to help narrow your hunting. Also mentioned are the prices per tent to help you manage your budget. But, the price alone is not a key determinant of the best tent because some prices are worth every cent due to their sophisticated features. Do you think we left out something important? Leave your comment in the comment section below and we will do our best to give you the answer as soon as possible.